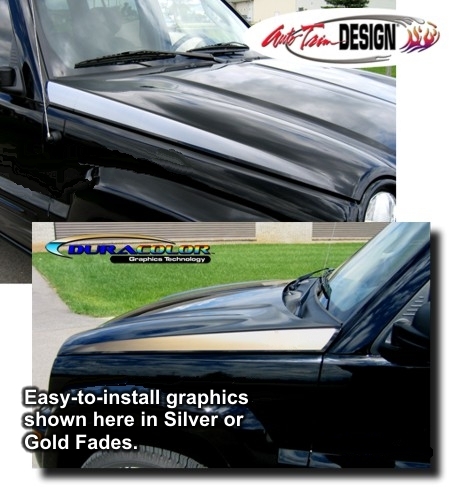 Make your '02-Current Jeep Liberty stand out with this unique Hood side Graphic Kit. These graphics start as a solid color at the rear of the hood and fade to the vehicle's paint color at the front. Precut, requiring no trimming on the vehicle, kit is packaged with one (1) Driver Side and one (1) Passenger side graphic. Includes easy to follow online application and care instructions.